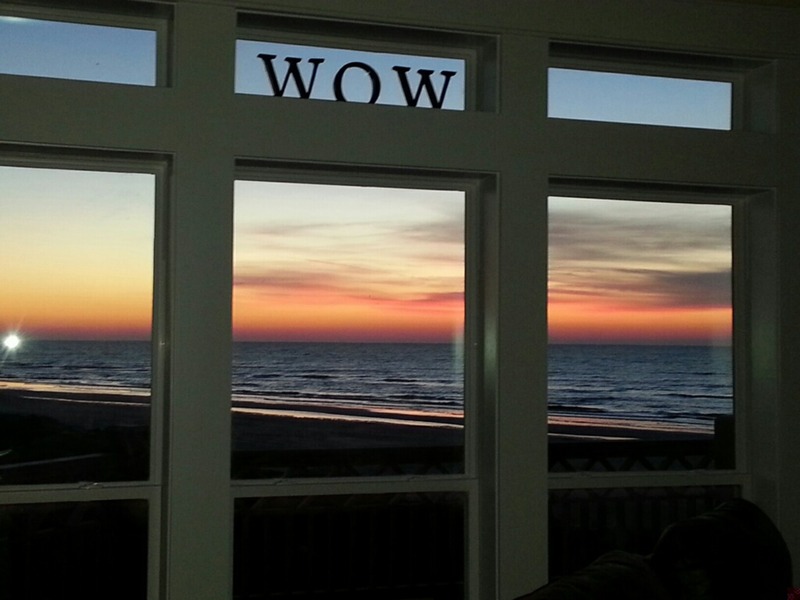 WOW is what you'll say when you step into this incredible brand new beachfront home! Open concept great room with cozy areas for every activity and a fully stocked gourmet kitchen sure to please the most discriminating of chefs. The living area sofa and love seat offer built in recliners to stretch out and catch a movie on the huge TV after a long day in the sun. There is both informal and formal dining areas with room for overflow at the breakfast bar. Custom touches include a Sub Zero refrigerator, granite countertops, transom windows for extra light, an ice machine with sonic style ice at the downstairs beverage bar and the latest in bathing luxury, an oversized air tub in the master bath. The utility room, complete with sink, is conveniently located adjacent to the master closet and bath. Each comfy bedroom is equipped with satellite TV. Then there's the spectacular outdoor space. The decks on the main level, with both sunny and shaded areas, offer amazing views of the Gulf, Galveston and even the Intracoastal. The upper deck with access from both bedrooms allows one to step out and breathe in the salt air first thing in the morning or star gaze before calling it a night. The sand shower downstairs has dual shower heads making it easy to rinse the beach off of all the kids at once! The fishermen will love the fish cleaning station with dual sinks. Wow will come to mind over and over again while you vacation in this magnificent beachfront home!! 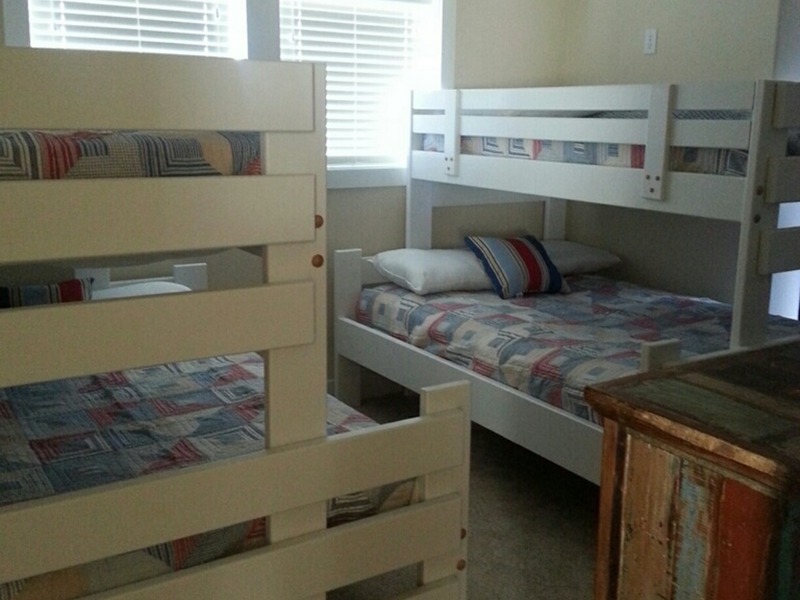 Master Bedroom (King); Bedroom 2 (1 Set of 3 Twin Bunks); Bedroom 3 (King); Bedroom 4 (2 sets of Twin over Full Bunks). Master Bath (Separate Shower with adjustable rain shower head/oversized Jacuzzi air tub). Bath 2 (Walk In Shower); Bath 3 (Walk In Shower). Half Bath down. Walk over and golf cart access. For vehicle access use So Cove. 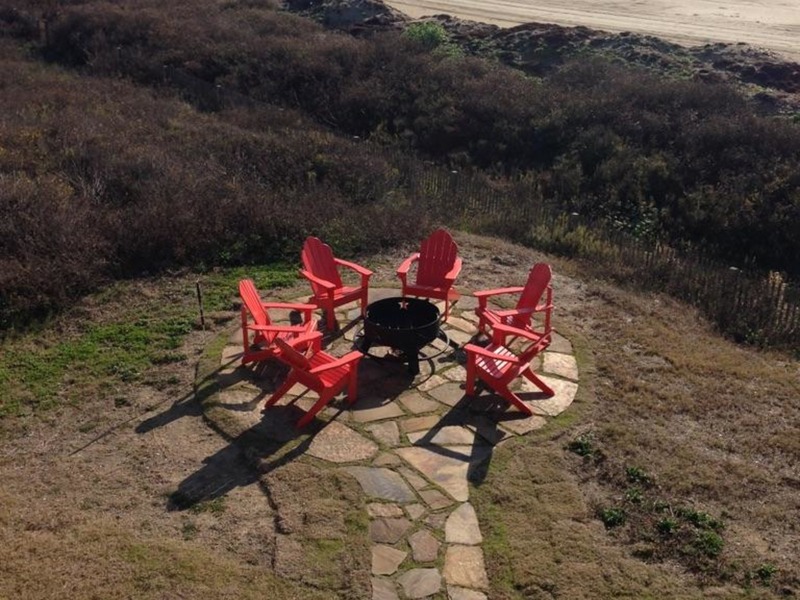 All vacation rentals are Non-smoking properties.